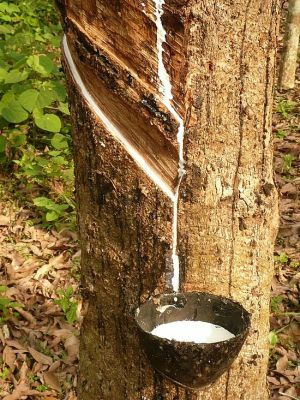 Physical rubber prices improved further on Monday mainly on covering purchases. Also, the domestic and international future prices recovered and moved higher and supported the spot rubber prices. Though, the supply has increased marginally but concerns over availability still persisted in the market. Spot rates for RSS-4 variety closed at Rs 214/kg compared to its previous closing of Rs 213/kg, while the RSS-5 variety closed at Rs 211/kg compared to its previous closing of Rs 209/kg. In the futures market, the contract of RSS-4 for October delivery closed at Rs 216.70 compared to its previous closing of Rs 216.14, while the November series closed at Rs 213.18 compared to its previous closing of Rs 214.46 on the National Multi Commodity Exchange.